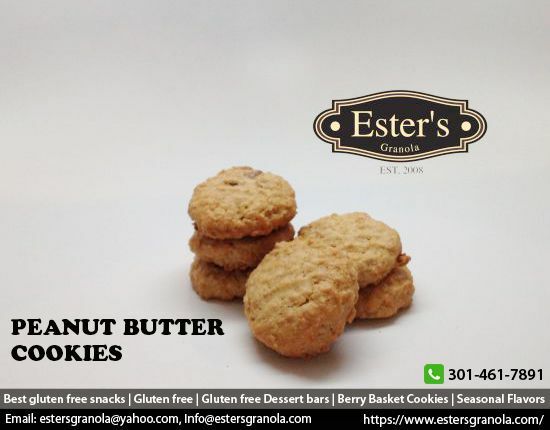 Peanut butter granola bar recipe | Peanut butter Cookies Silver Spring - Looking for Peanut butter granola bar recipe as well as best peanut butter cookies? If yes, then visit us and purchase peanut butter at reasonable price. Simple. Tasty. Nutritious. It’s rare for us to use all three of these words together when describing food, yet you can find all three inside of our products. 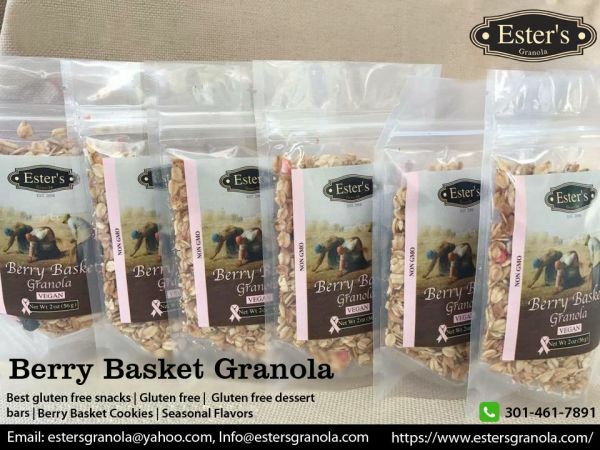 A hand crafted mixture of toasted oats, crunchy nuts, dried fruits, and golden honey, our recipe is guaranteed to please the taste buds, as well as the waistline. It is high in fiber, with no preservatives, cholesterol, or added sugar. 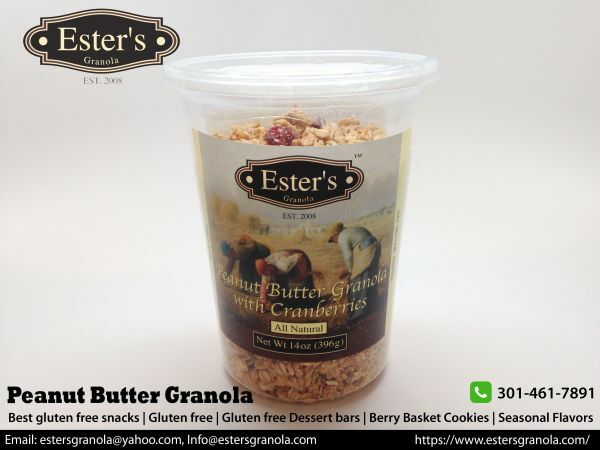 Simply stated, Ester’s Granola gives you all the taste you want in a normal snack, while still being all natural and naturally good for you.